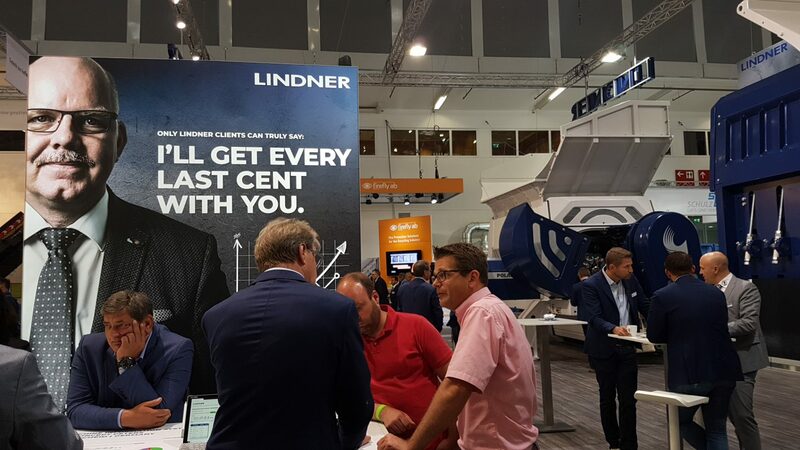 For Lindner, this year’s IFAT expo is an important event because the company was eager to showcase the Polaris 1800 shredder, a new addition to the Polaris series first presented in 2016. The company points out that, sure enough, shredders put on the market since that time managed throughput rates of up to 35 tonnes per hour ( such as the Polaris 2800). Lindner stresses that the new Polaris 1800 is a great piece of machinery for those recyclers who don’t need to process ‘extremely’ high amounts of scrap. The shredder can reach a throughput of up to 16 tonnes per hour – it is aimed at waste management companies that still have material capacity to spare and want to enter the medium-calorific solid recovered fuels market. The company is quick to point out that the Polaris series realises the lowest production costs (euro per metric tonne) for finished solid recovered fuels in its segment, citing a comparative study from May 2017 conducted by the University of Leoben in Austria. Another entirely novel system Lindner is exhibiting at IFAT is the Atlas. This is a stationary twin-shaft primary shredder with high throughput and little downtime which complements the Jupiter series. How so? It does not cut, but has a ripping system and is therefore the best possible system solution in an SRF production line with the Komet series as secondary shredder when coarser particles are required. As a technology leader with 70 years worth of experience, Lindner is also building on the future of electric drives with brake energy recovery and up to 40% less energy consumption than conventional hydraulic drives. In the Atlas primary shredder, both shafts can rotate independently of each other making asynchronous and synchronous operation possible. If a shaft stops due to ‘non-shreddables’ or tough input material, the second shaft can still be used in asynchronous operation which ensures continuous and homogeneous material discharge. As a result, downstream optical sorting systems can collect, separate and eliminate more recyclables from coarser, pre-shredded, evenly discharged materials.